My client has a very keen interest in art and has collected some really lovely paintings and prints. 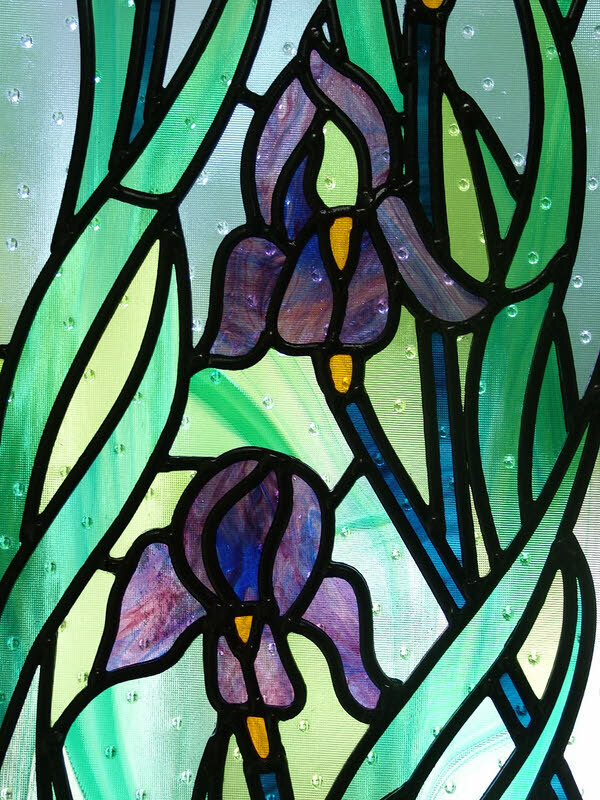 I was given a picture of Van Goghs Irises to use as inspiration for two panels either side of the front door. In this case we did not remove the original glass as my customer wanted to keep that, it being unusual and original to the property. This is not an ideal way of fitting a stained glass window as there is the risk of condensation occurring between the two panels, however, armed with this knowledge my client is happy to maybe have to remove the bead every few years to clean. 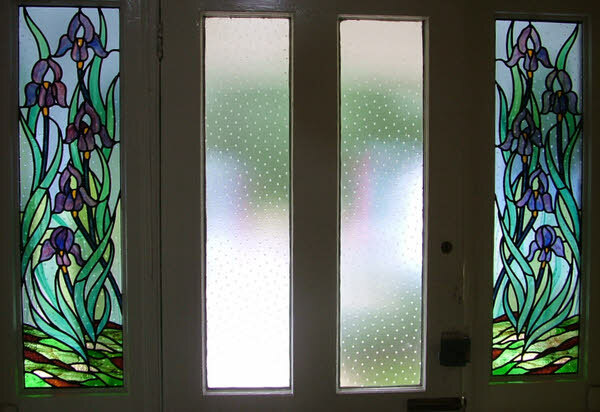 I first designed the window and sent a water colour design and some glass samples. Then my client popped over to the workshop and we confirmed some glasses and chose some more. I drew the cutline and then Mannon cut the glass. Each piece was placed on our glass easel so we could see how it looked with daylight. This way of cutting is vital with such panels. The customer then came over again to approve the first panels before we went ahead and cut the second. I then leaded them together, cemented and we fitted them at the beginning of September. My client is now thinking of what to have in his door!